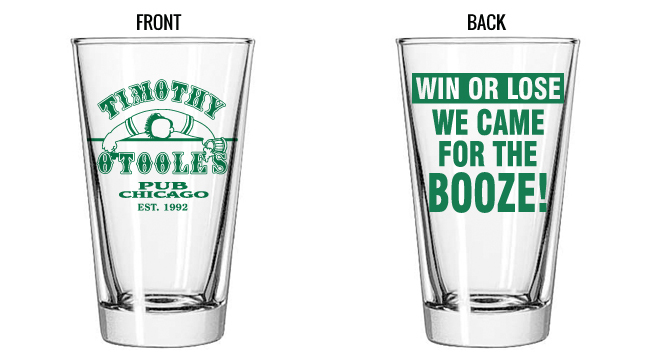 O'Toole's Logo Glassware featuring both the "Drunk Guy" logo and our WIN OR LOSE logo. 16 oz. pint with green etching.